It is not common that a chocolateier from a chain submits their creations in to chocolate awards and yet this is exactly what happened with the Godiva Reserve Privee chocolates. I believe two were entered and both won an award. While some competitions award something to everyone, having been a part of both major chocolate awards in the UK I know that is not how they work These chocolates won on merit. The box is larger than the chocolates inside to protect them and also to enable Godiva to provide their luxurious chocolate experience. It would not be as luxurious in a ballotin box (one of the thin cardboard boxes you commonly get at shops in Brussels) or similar. 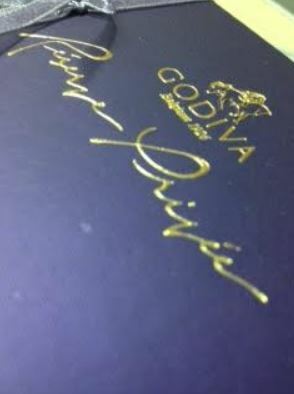 Godiva chocolates demand a special box and these get the most special one. Going from bean to bar, as well as making their own pralines means that Godiva can offer customers an even more bespoke chocolate. While in Belgium you may find the same chocolate in several supposedly independent shops, Godiva make their chocolates from scratch for themselves only so you’ll only get Godiva chocolates from Godiva. This particular collection is quite nice. Of course, being a specialist praline house and with me not being the world’s biggest praline fan I can only offer an opinion. I think for me they are all quite nicely executed. I did notice a difference in the underlying praline between different nuts which is something that, at scale, can be hard to achieve but these were not made at scale. The flavours are subtle but still distinct, able to balance off against the strong nut flavours. For example, ginger is paired with macadamia ensuring a balanced flavour of ginger without fighting with say a hazelnut. Cinnamon is paired with pecan, taking me back to my childhood in Canada. There is a pure almond, a pure hazelnut and a pure pistachio praline alone with a combination almond and hazelnut praline with vanilla. 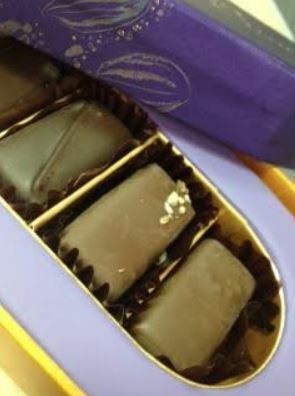 This small bespoke batch of pralines is not just exclusive to Godiva, it is exclusive to only certain Godiva outlets. You won’t find these just anywhere. If you want to buy yourself or someone you love a box of these exclusive pralines you’ll need to head to Harrods, Selfridges, the Regent St store, the Canary Warf store or the St Pancras store. Outside those few shops you will not find this private reserve collection. Know a Godiva fan or a fan of nutty pralines? Why not surprise them with this box of chocolates. They will thank you for it!